There is an urban legend fueled by the movie Beverly Hills Cop that people have around 5 pounds of undigested meat in their stomach by the time they are middle-aged. Not so. But bezoars, which are pearl-like minerals that accrete around bits of stone, do rarely grow in the guts of people and animals. 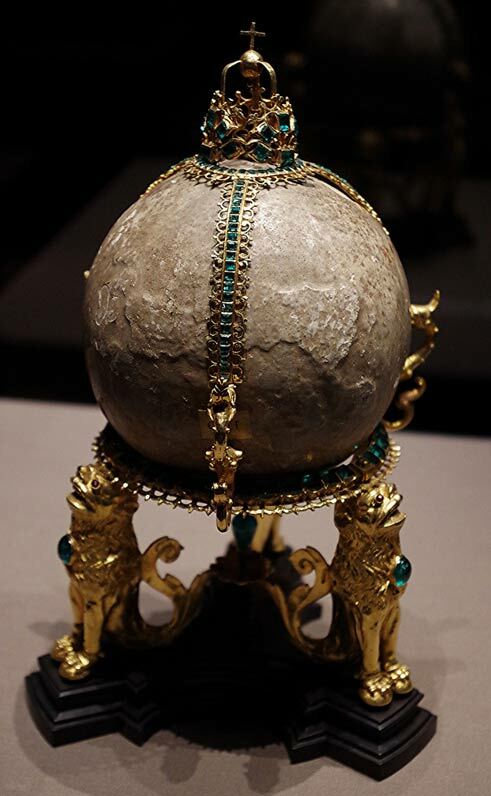 It’s a rare, dangerous condition, but bezoars of animals were used centuries ago in various places as cures for poisoning and disease and were often incorporated into prized jewels. From ancient times through the 16 th century, bezoars were considered highly desirable objects that could be worn as charms or ground down and ingested. Bezoars were taken from the guts of deer, antelope, porcupines, goats, oxen and llamas. The practice began in Persia and Arabia around the 1 st century AD and spread to Europe. People in the Andes Mountains of South America also apparently were using bezoars before Europeans arrived there. Queen Elizabeth I of England, who ruled from 1558 to 1603, had a bezoar set in a silver ring, and people sometimes described the pale beige of her robes as bezoar-colored, says an article on Nautilus. Bezoar stones form around small rocks or cellulose that become lodged in the gastrointestinal tract. As time passes, layers of calcium and magnesium phosphate in the animal’s stomach build up around the rock fragments in layers and then are made smooth by muscle contractions, says the article. Perhaps obstruction by a food Bolus or Bezoar is by no means so uncommon and should be borne in mind in differential diagnoses of obstruction. 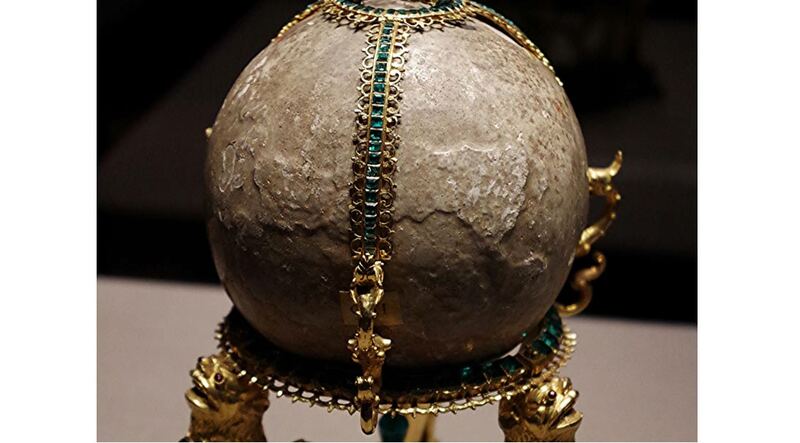 The legend Of the bezoar stones, which was generally credited in olden times, was that they were the crystallized tears of deer. The deer ate snakes, which caused such intense stomach-ache that tears were brought to the animal's eyes, and these subsequently congealed beneath the lid as stones. These fell out and men gathered them up. Cases of poisoning and other noxious diseases were said to have been cured by them, and one was used as a last resort at the death of King Charles II. It may possibly be of interest to the academically minded surgeon to consider that which was once a magical stone endowed with life-giving properties is now a cause for surgical intervention And a portent of evil. Indeed, WebMD has an article about bezoars that says they can form in human adults and children in the stomach or large or small intestine. Bezoars can cause nausea and vomiting, reduced appetite, weight loss and a feeling of being full after eating just a small amount of food. They can cause intestinal bleeding and gastric ulcers, and if that isn’t enough they can result in the death of tissues or gangrene in parts of the GI tract. Persian and Greek doctors in the 1 st century AD were the first to use animal bezoars. The word comes from Persian padzahr. They were used in jewelry as charms and also ground up as antidotes and cures. In the 12 th century, the use of bezoars spread to Europe, brought there by Christian crusaders who invaded the Levant. Bezoars became very popular among rich Europeans, Nautilus says. By the end of the 17 th century people stopped using them, and by the 19 th century they were considered obsolete, although in China some people still use porcupine bezoars to heal dengue fever, the article states. In Europe in the 16 th century, though, well before they fell out favor, a barber-surgeon named Ambrose Paré spoke against them. To test the effectiveness of bezoars, he gave a condemned criminal poisonous mercuric chloride and a bezoar. The man died an unpleasant death, reinforcing Paré’s belief that they were ineffective.